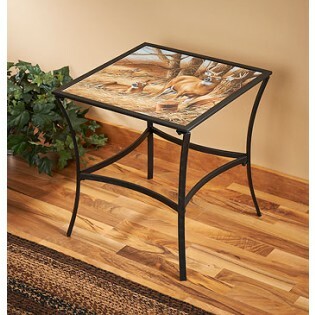 Rosemary Millette's whitetail deer invite themselves into your home or cabin on this beautiful accent table. Glass tabletop replicates Rosemary Millette's original painting in rich, fade-resistant inks. Wonderfully versatile. 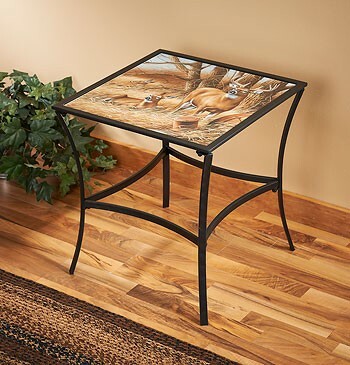 Sturdy black-finished metal base. Easy assembly.